After some emotionally draining weeks, Andrew & Caitlin dispense with their usual introductory chit-chat and get right to this week’s interview: a fun and free-ranging conversation with Chef Marc Forgione recorded recently at his eponymous restaurant in lower Manhattan. 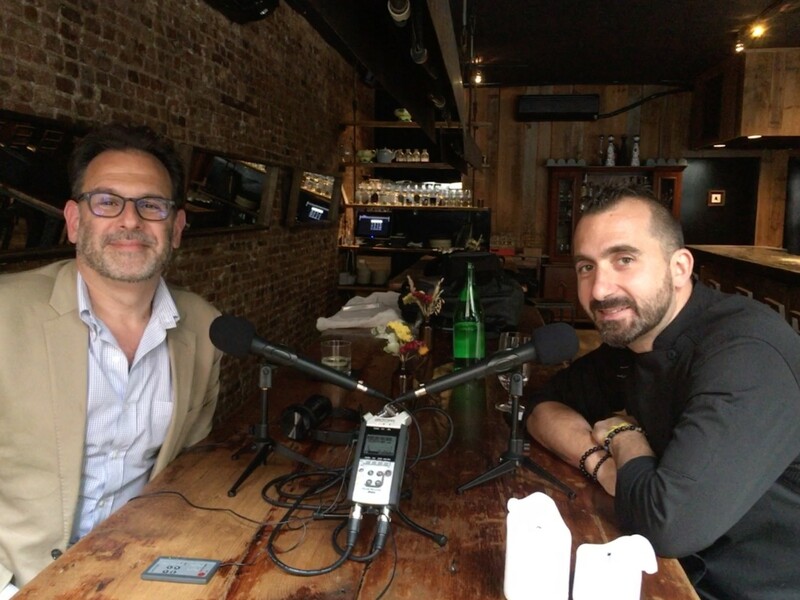 Andrew and Marc discuss the blessing/curse of being the son of a legendary chef; his formative days cooking for chefs such as Paticia Yeo and Laurent Tourondel; the origins and development of his restaurants Marc Forgione (which turns 10 this month), American Cut, and Khe-Yo; and what “New York food” means to him. Oh, and they also get into the Forgione family’s premonitory gifts (seriously).